November was a busy month for our class! We had two pre-service student teachers helping out for most of the month. My kids felt so special to have three teachers for a few weeks, and I was grateful for the extra hands and eyes! It also marked the end of a trimester for my first graders so we did a lot of reviewing and assessing to see how much we have learned so far in first grade! It is always rewarding for me to observe and take note of the tremendous progress these sweet kiddos are capable of! Here are a few random pictures of things here-and-there throughout the month. 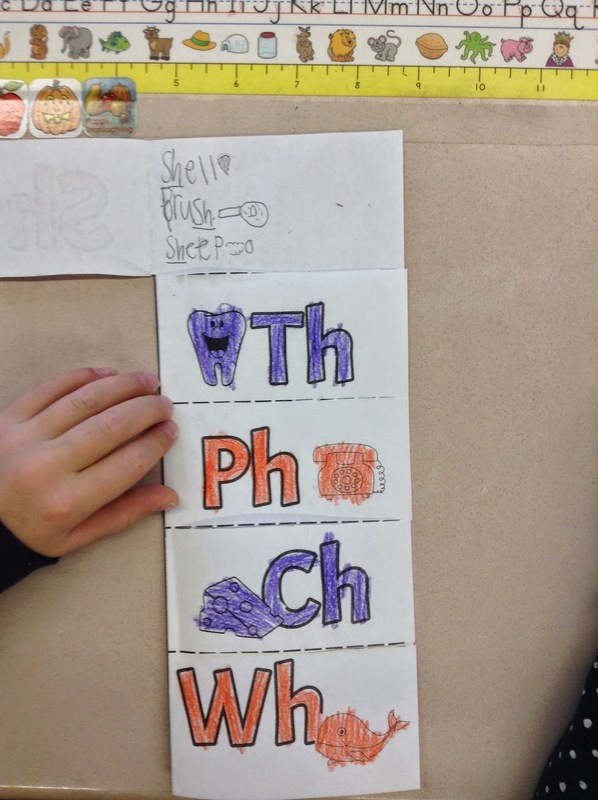 One of my student teachers introduced digraphs to my students with these cute foldables. My students loved making these! My other student teacher introduced my students to 3D shapes. They began by using marshmallows and toothpicks to build 2D shapes and then we explored from there with attempts to make 3D shapes. They really enjoyed this task and did very well! As Thanksgiving drew nearer we started learning about turkeys. 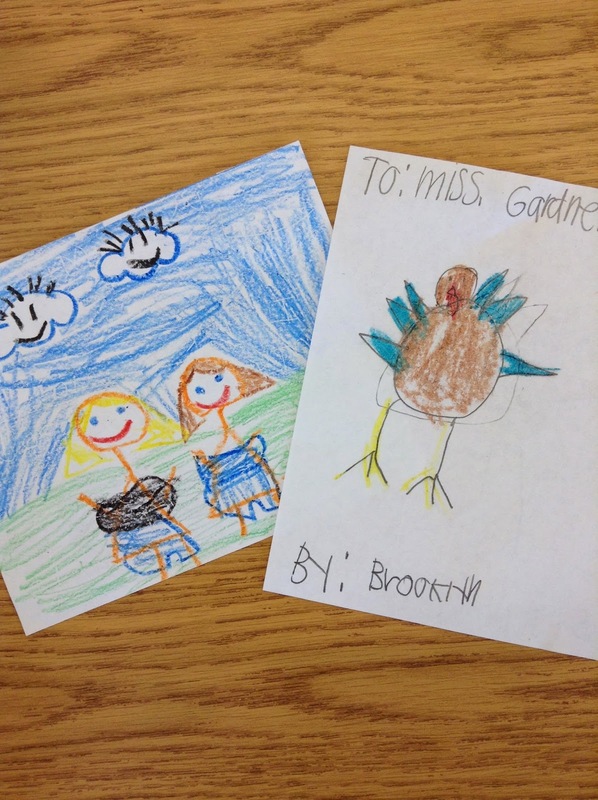 I don't have a picture of my students' turkeys, but they turned out so cute! 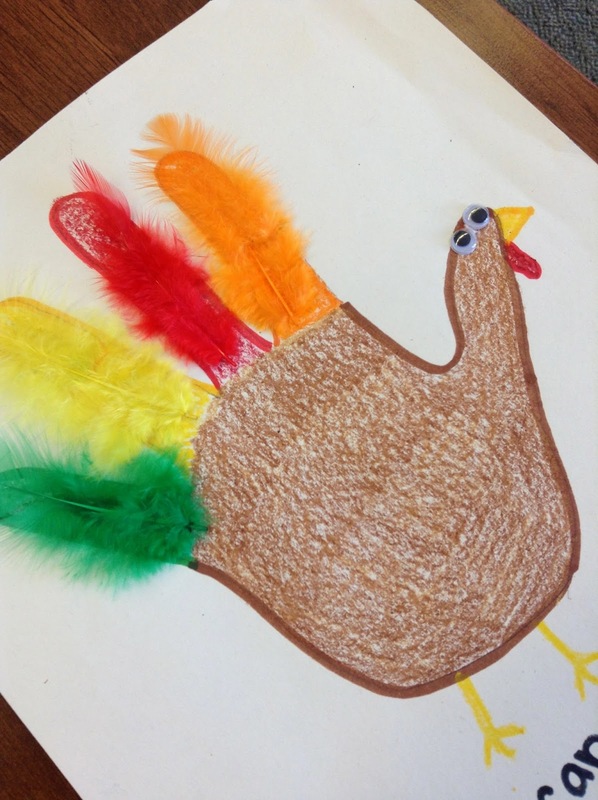 After making the turkeys and glueing on the feathers my kids wrote turkey facts they had collected from a few non-fiction turkey texts. And on the last day before Thanksgiving break I found these cute notes on my desk. I am so thankful to be a teacher! It is a tremendous blessing in my life and I will forever be grateful for the opportunity I have to teach and learn from these wonderful children!